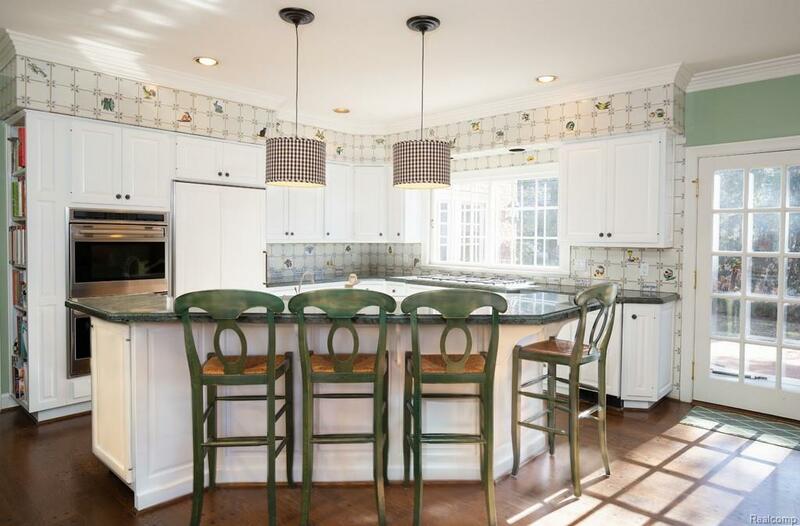 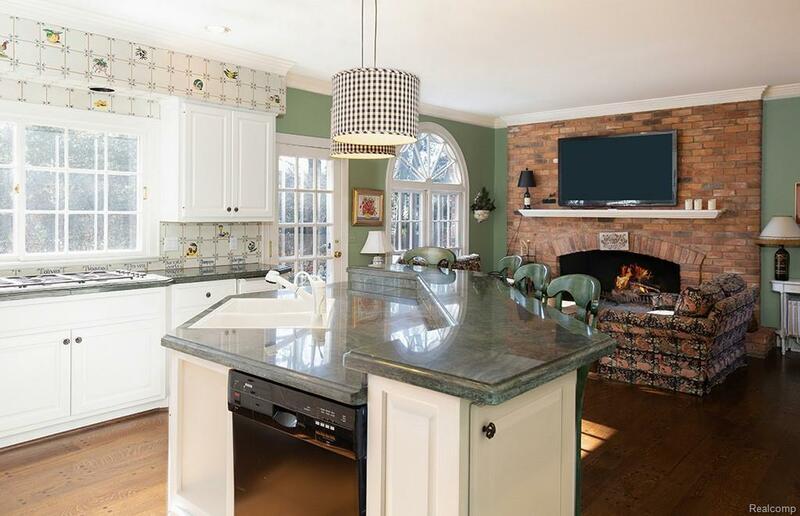 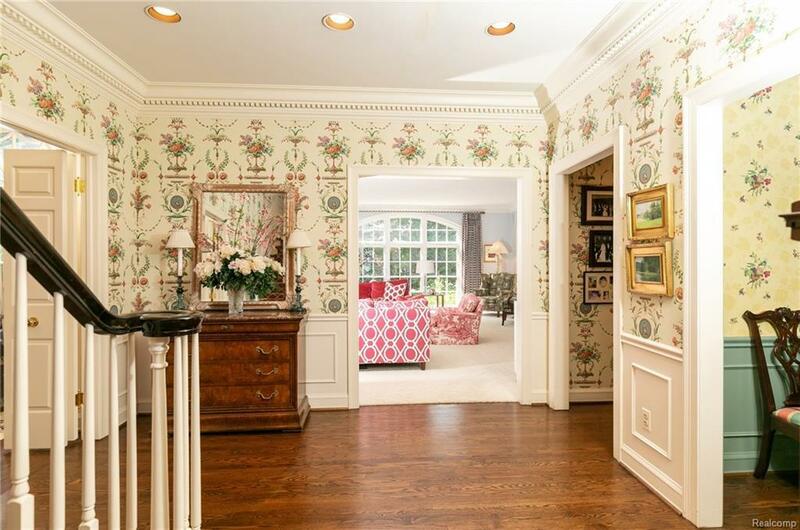 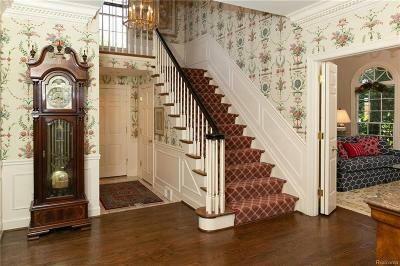 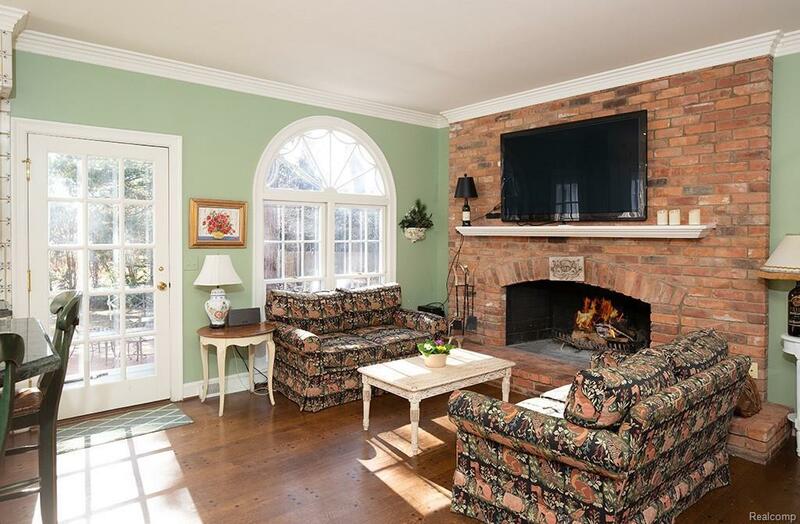 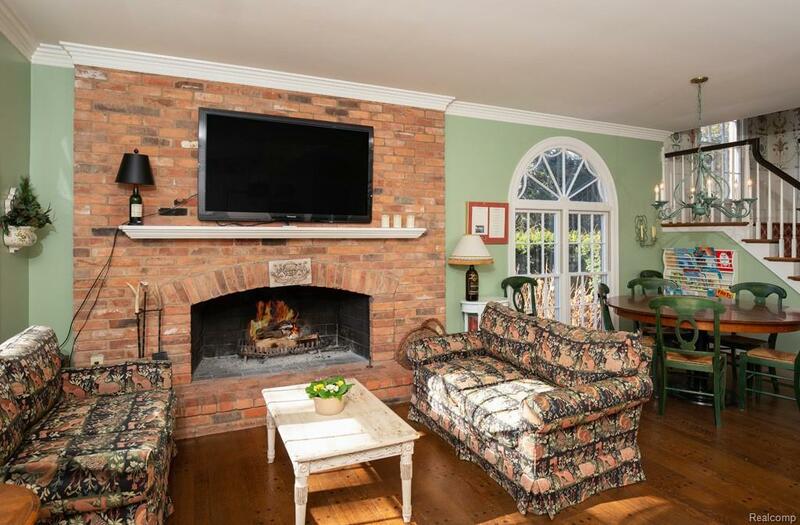 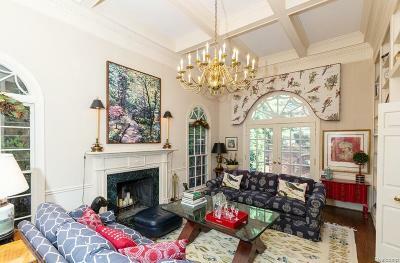 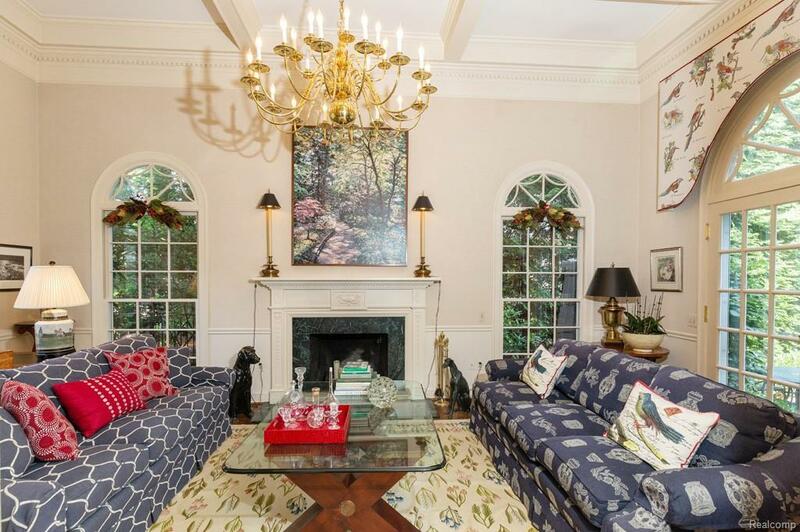 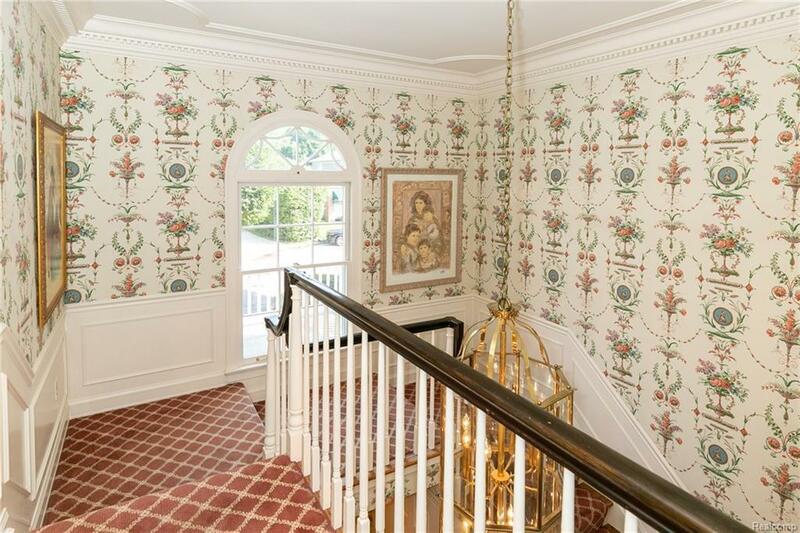 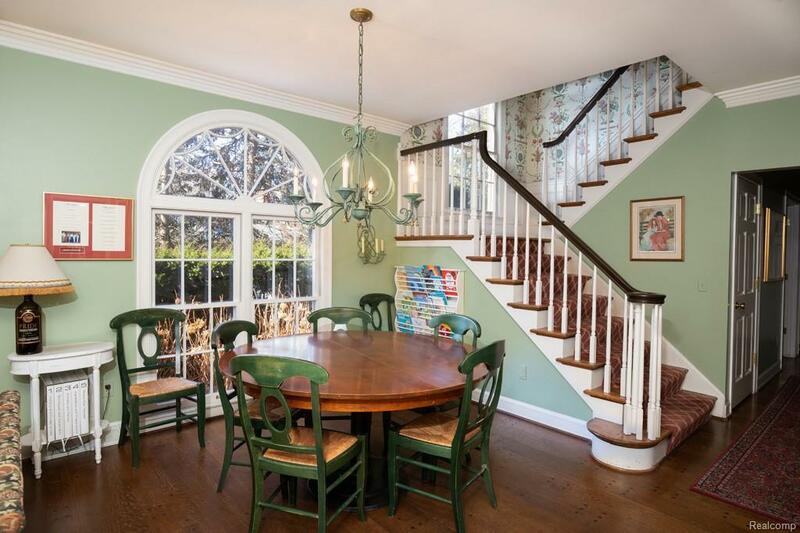 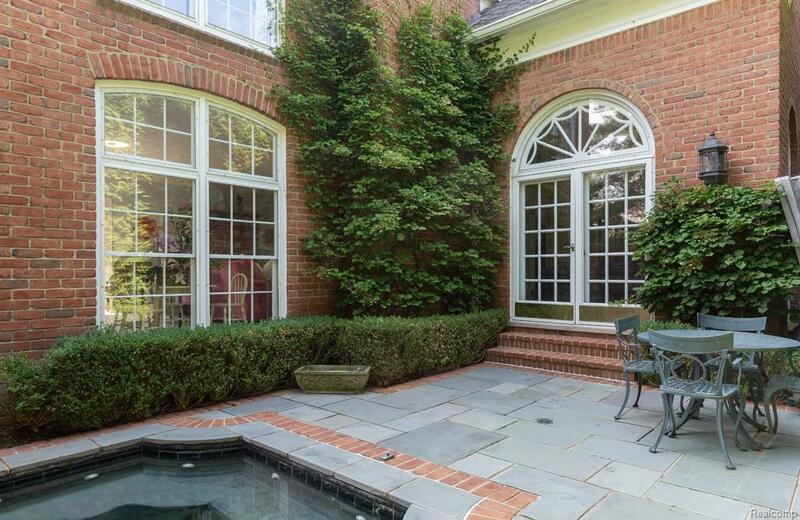 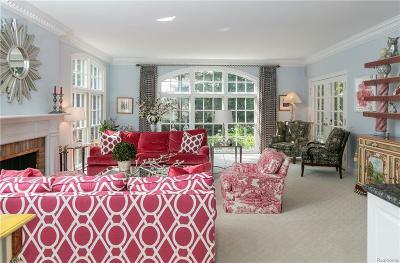 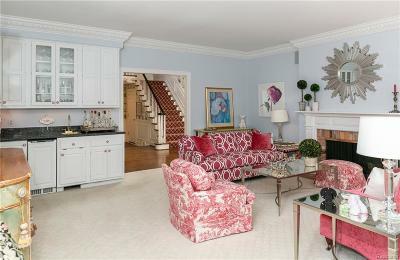 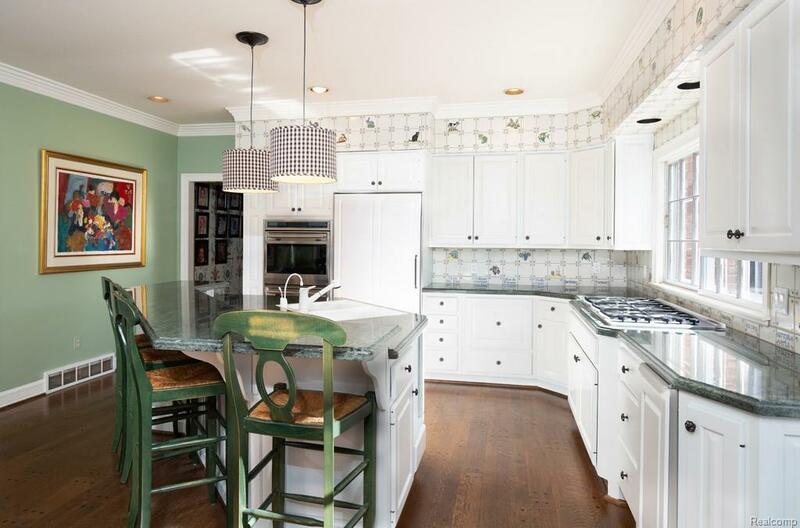 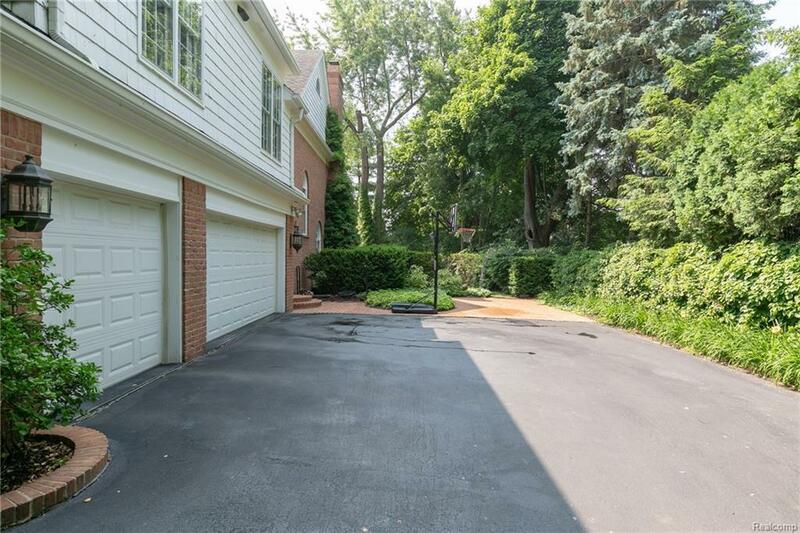 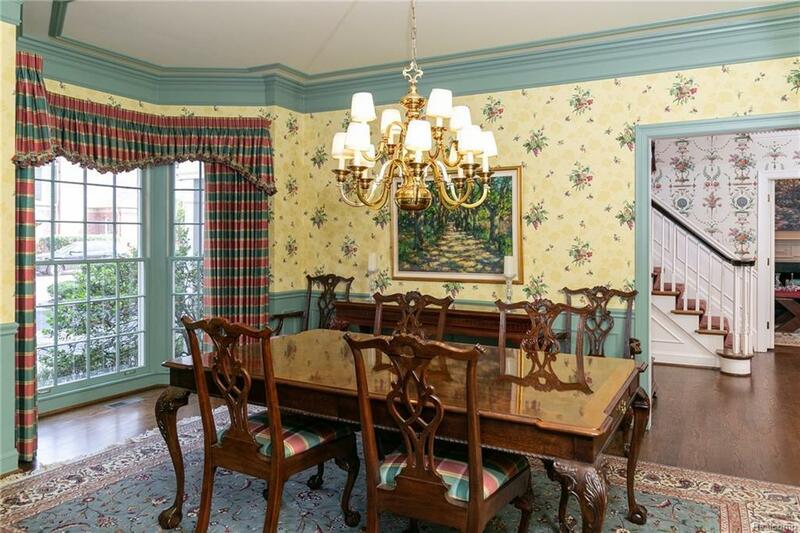 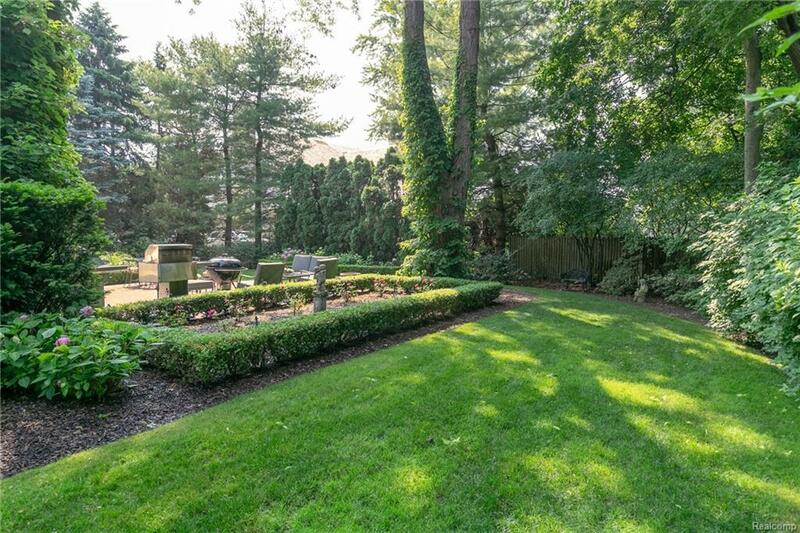 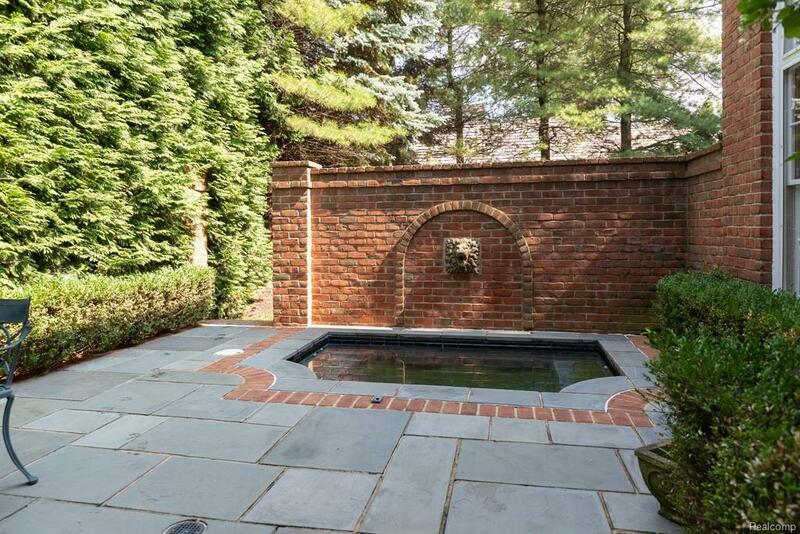 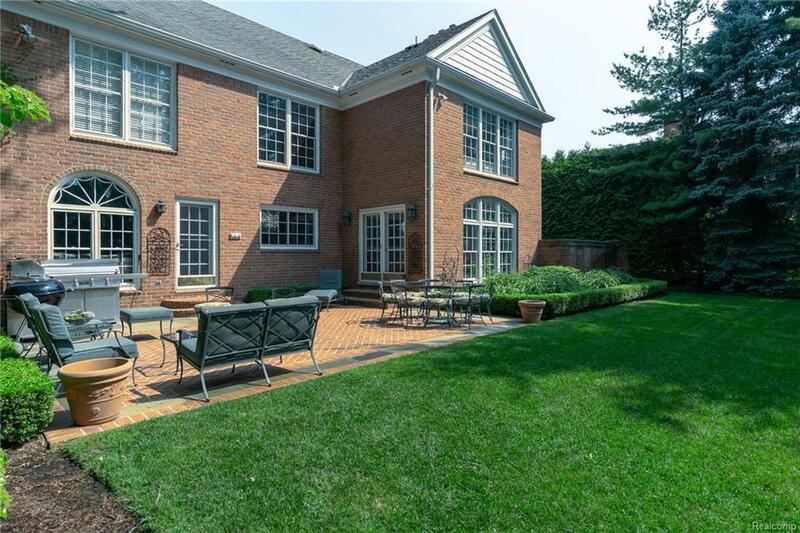 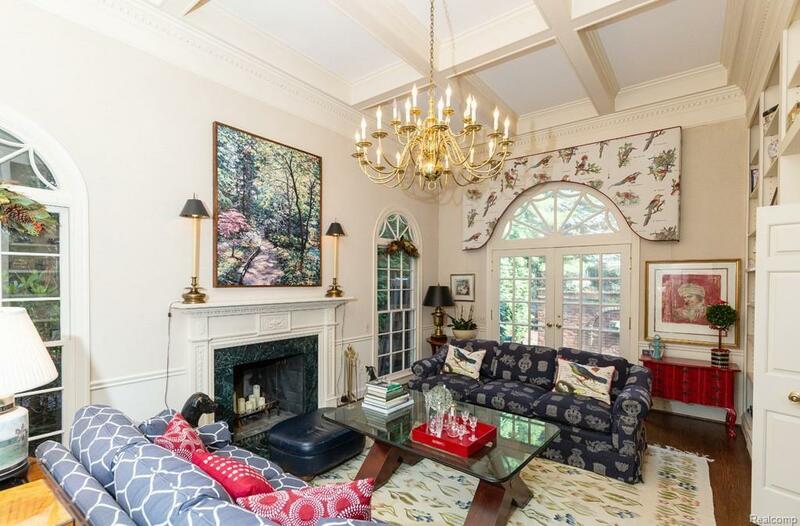 Fabulous residence nestled on a quiet cul-de-sac in the City of Grosse Pointe. 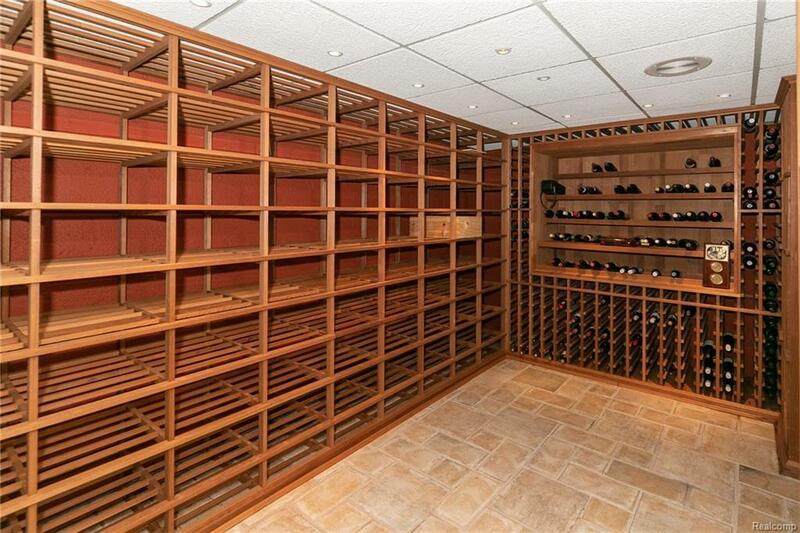 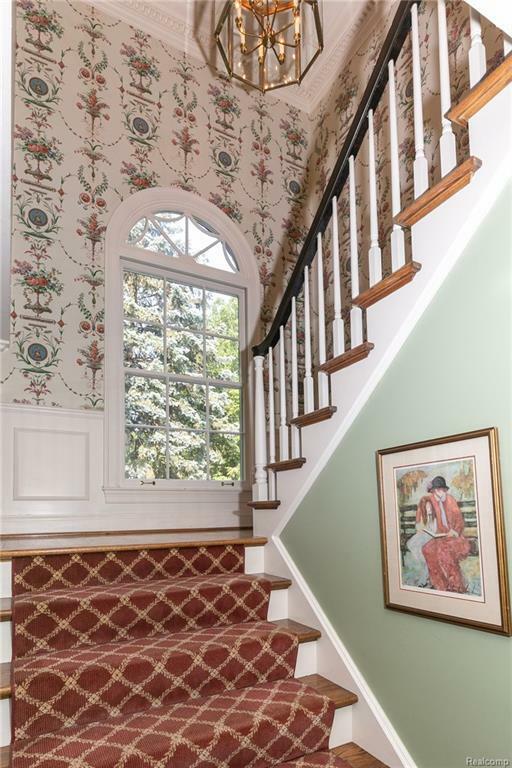 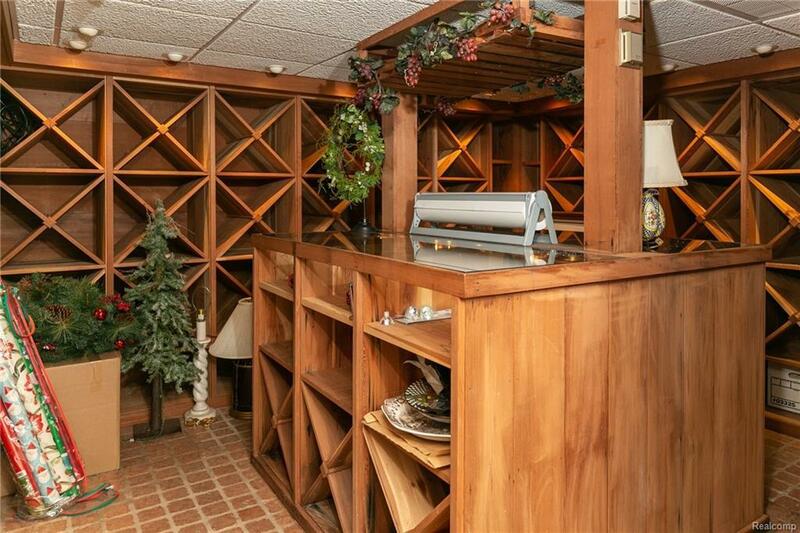 This original owner home, constructed by the Blake Company, was meticulously and tastefully appointed in every detail from the two story foyer to the finished lower level with his & hers wine cellars. 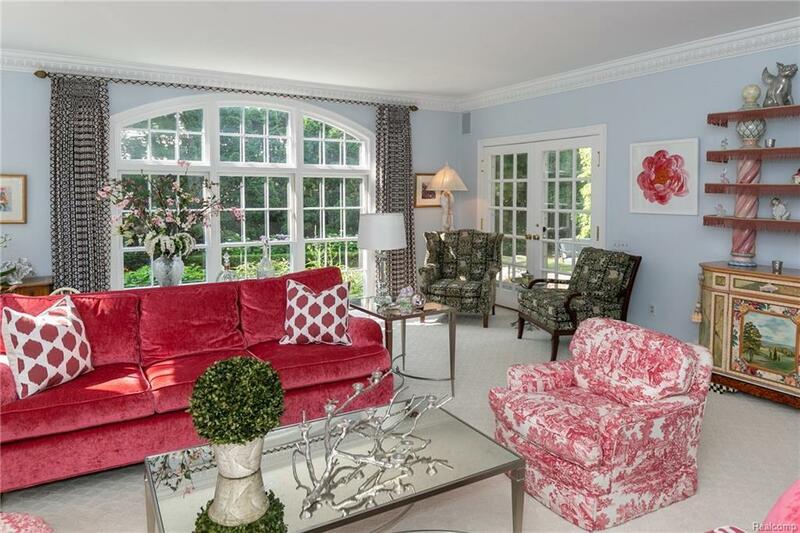 Enjoy an exceptional floor plan featuring grand rooms with views of the picturesque gardens through the gorgeous floor to ceiling windows. 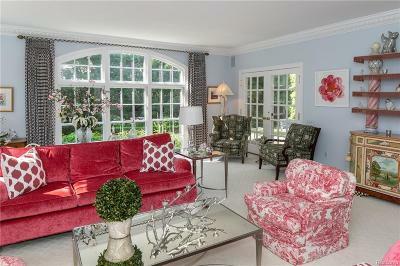 Formal living room with fireplace, wet bar and ice maker; dining room with bay; library with fireplace, soaring 13 foot coffered ceiling and French doors to the very private in-ground gunite hot tub surrounded by blue stone patio; inviting gourmet kitchen/family room with butler's pantry, granite, high end appliances, fireplace and cozy eating space and sitting area; first floor laundry/mud room. 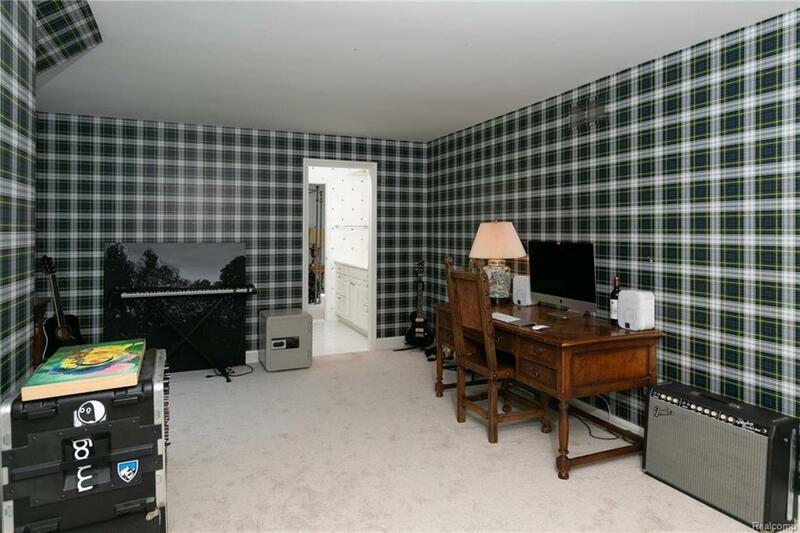 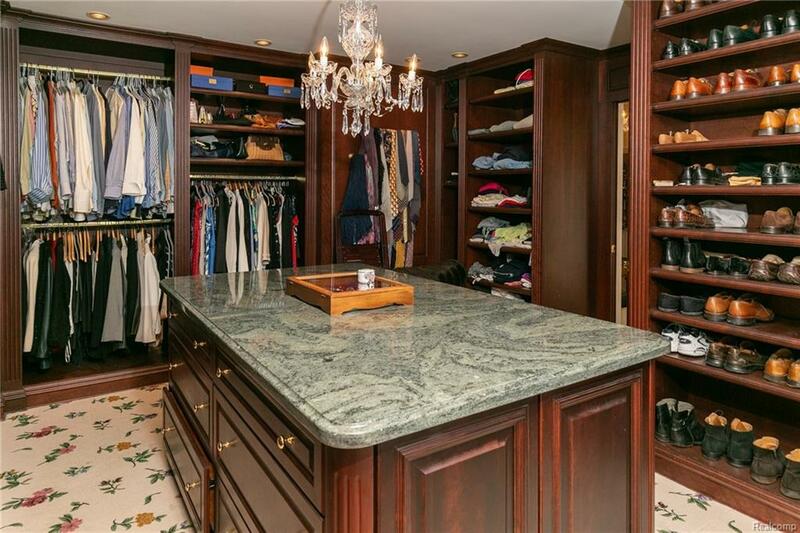 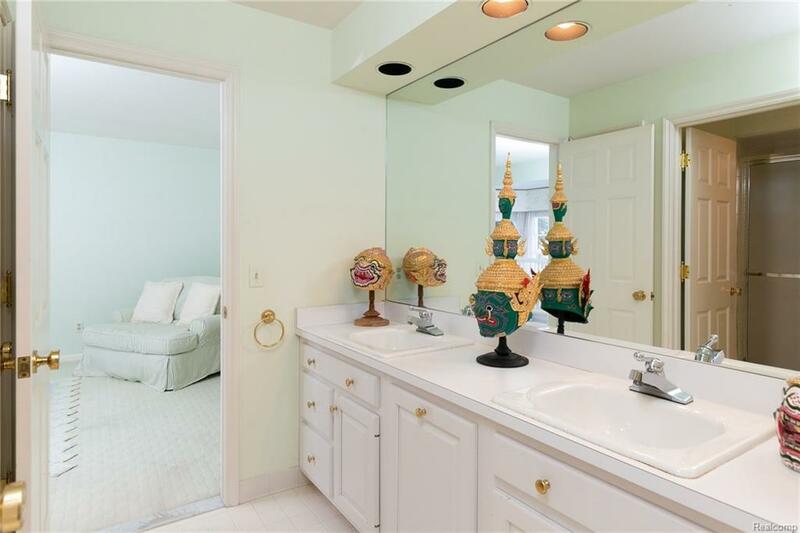 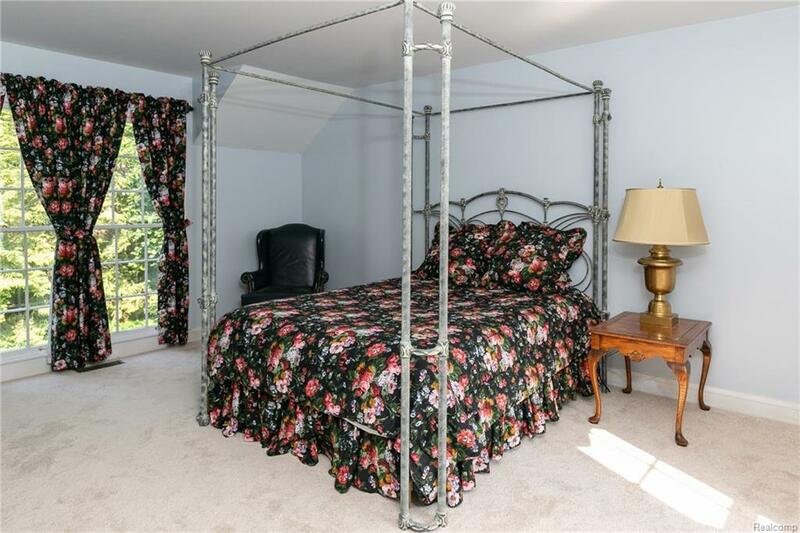 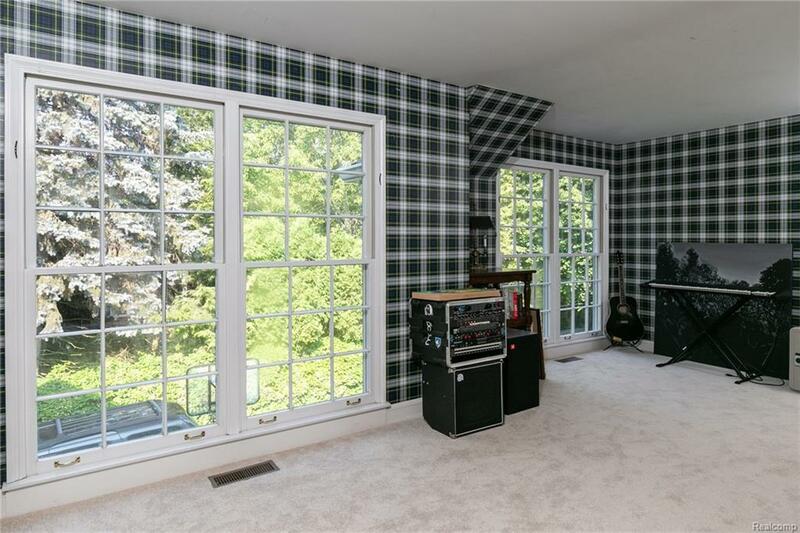 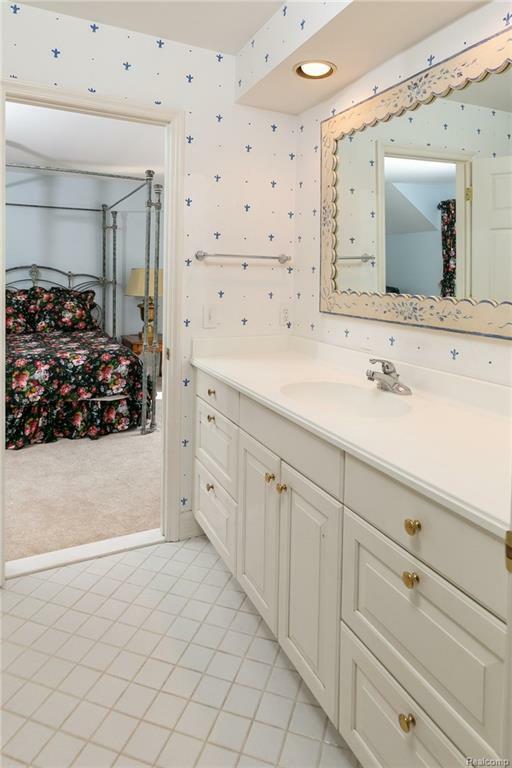 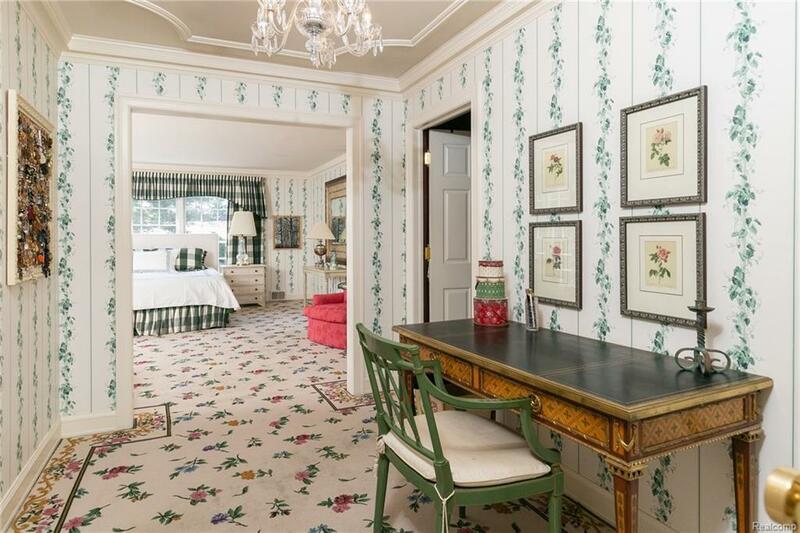 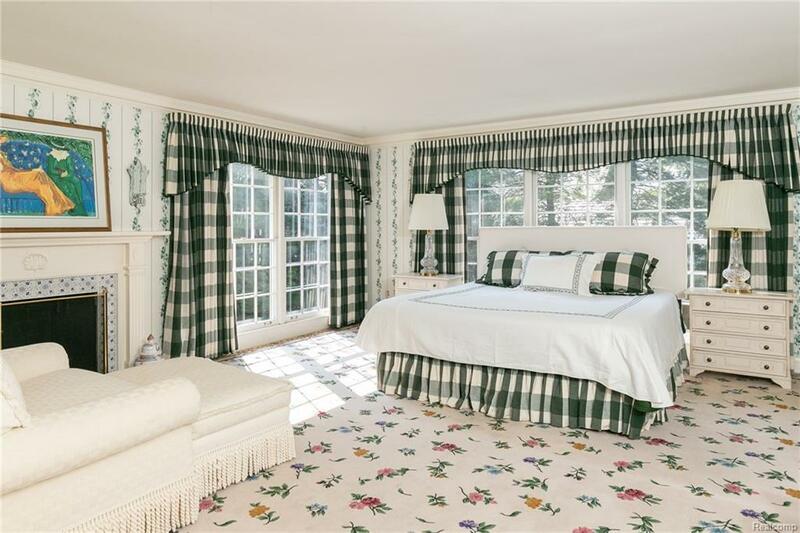 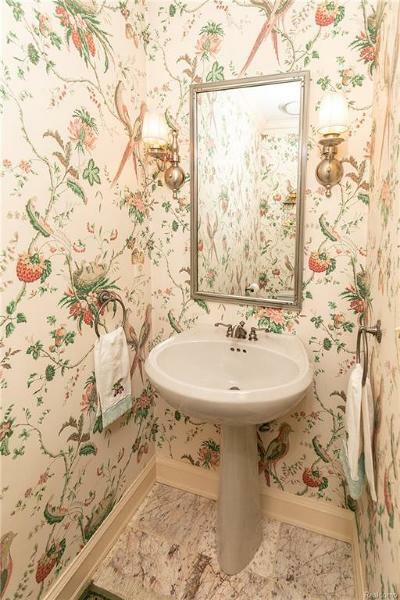 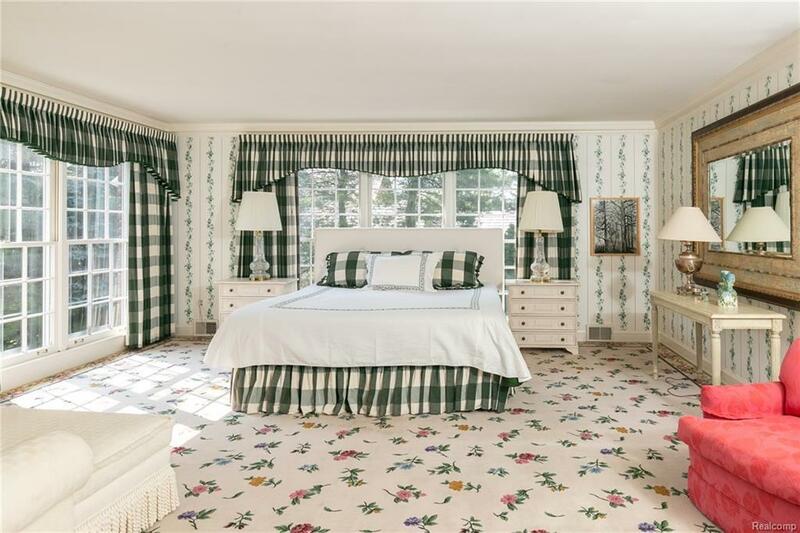 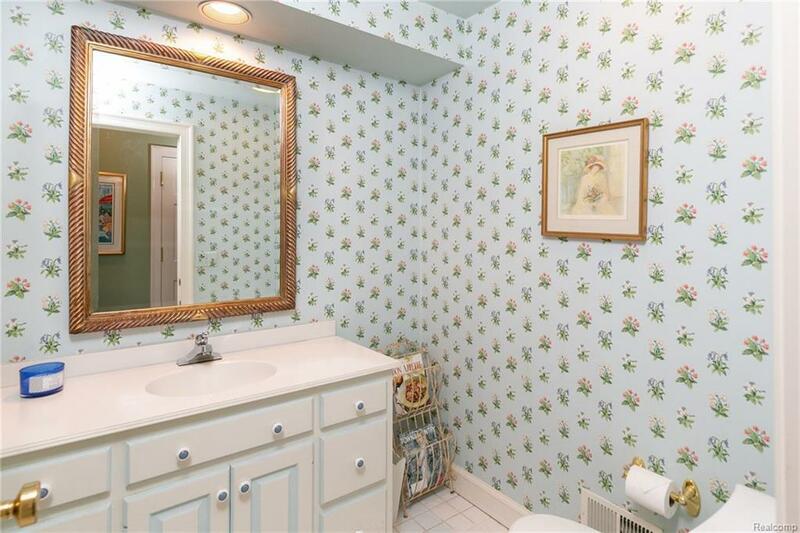 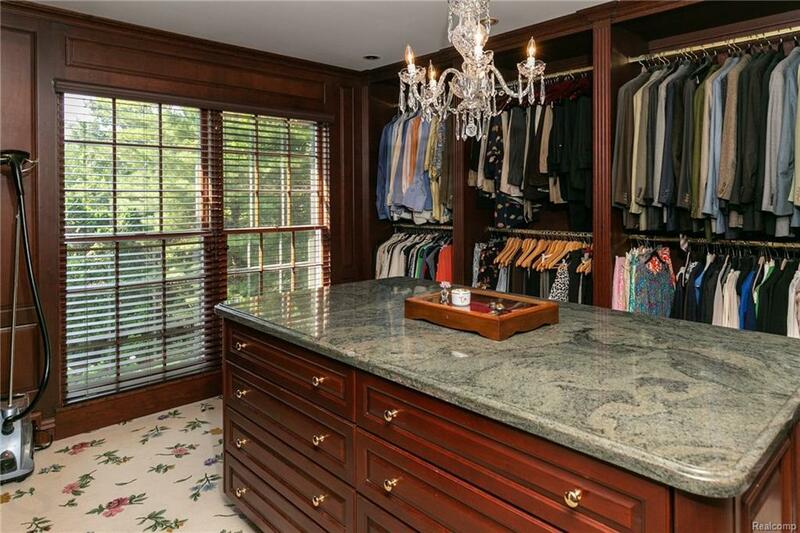 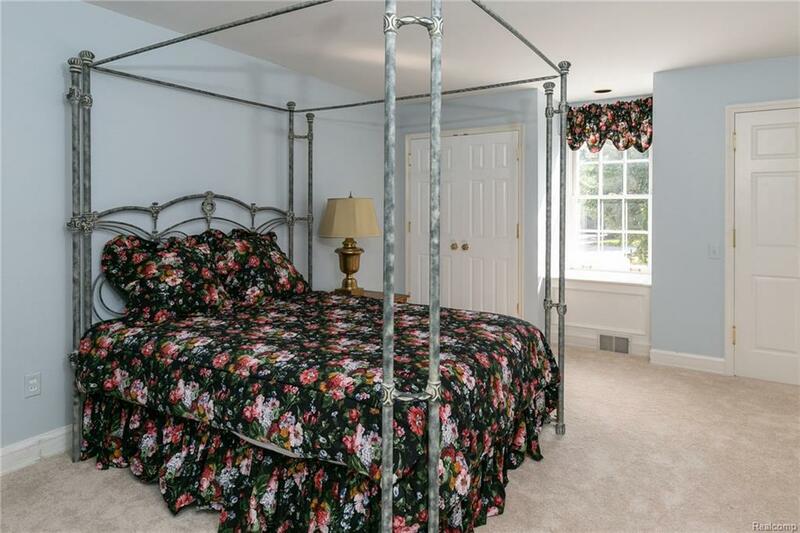 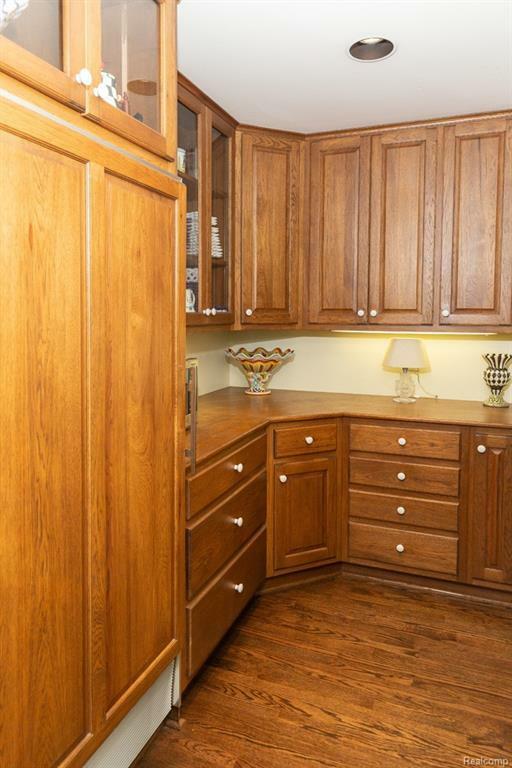 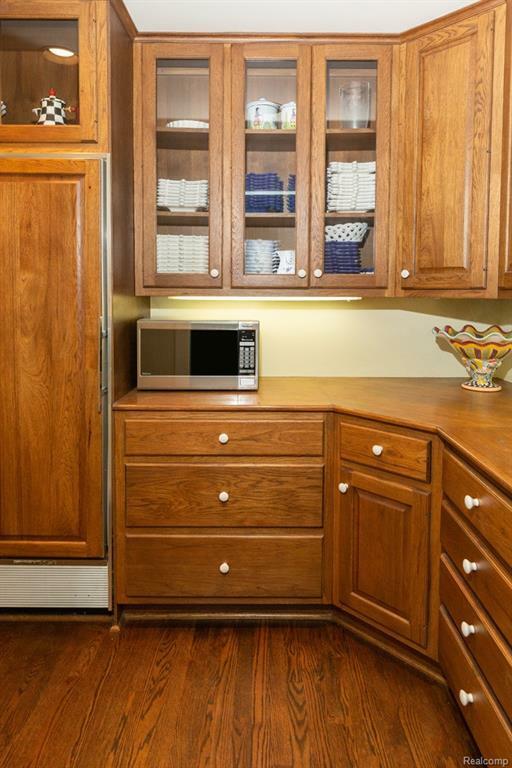 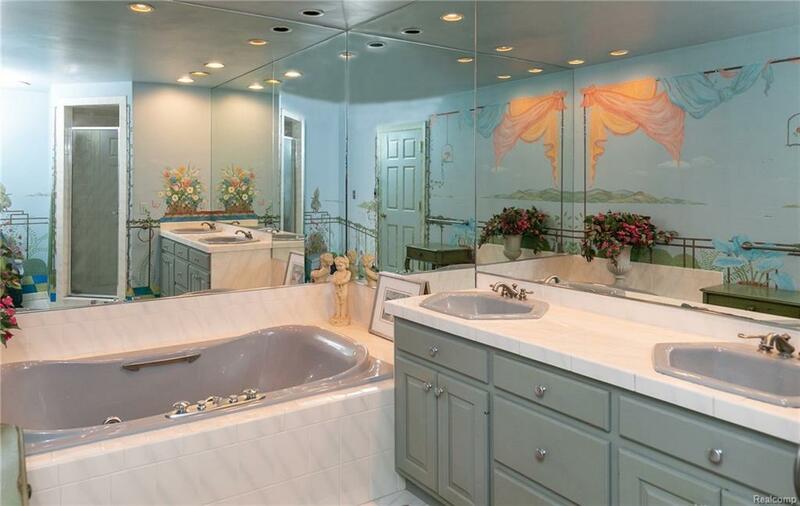 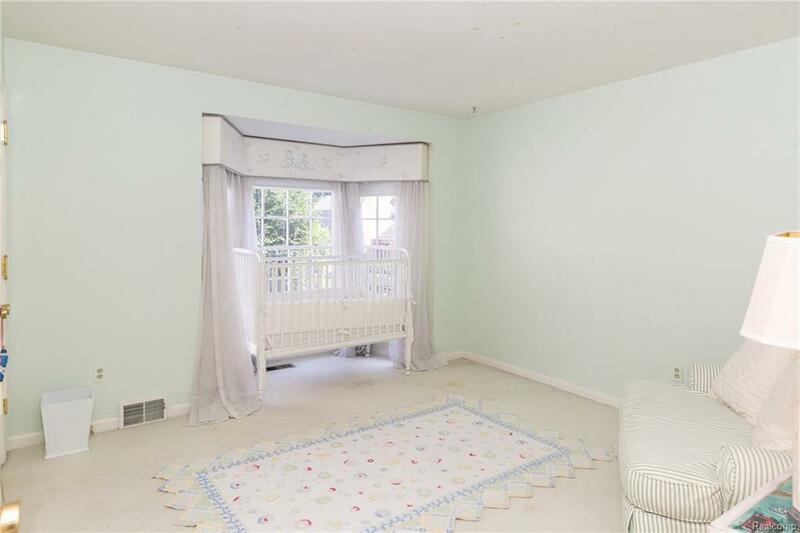 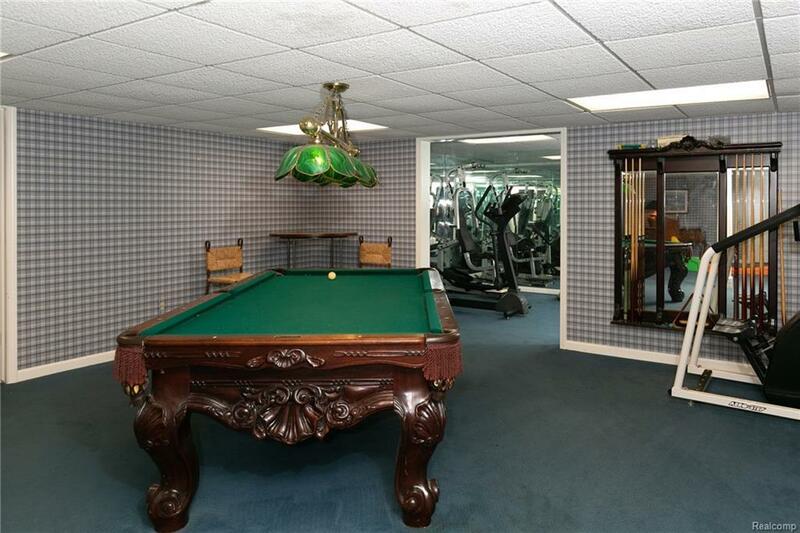 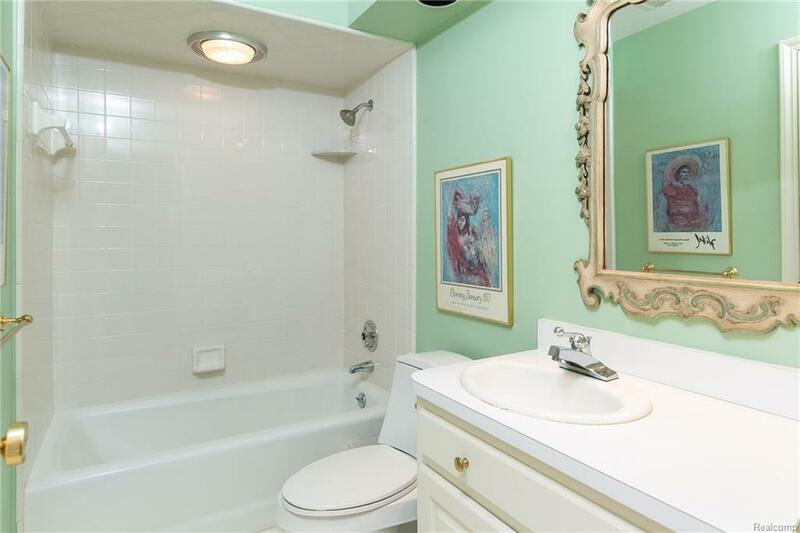 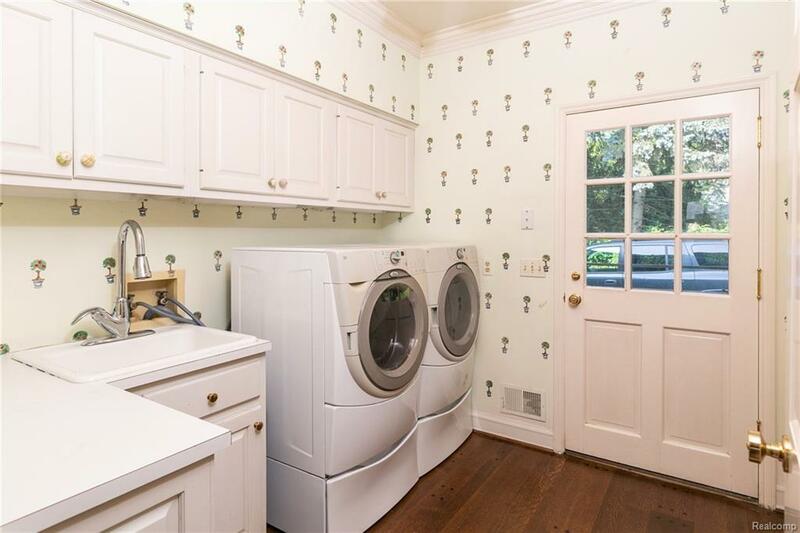 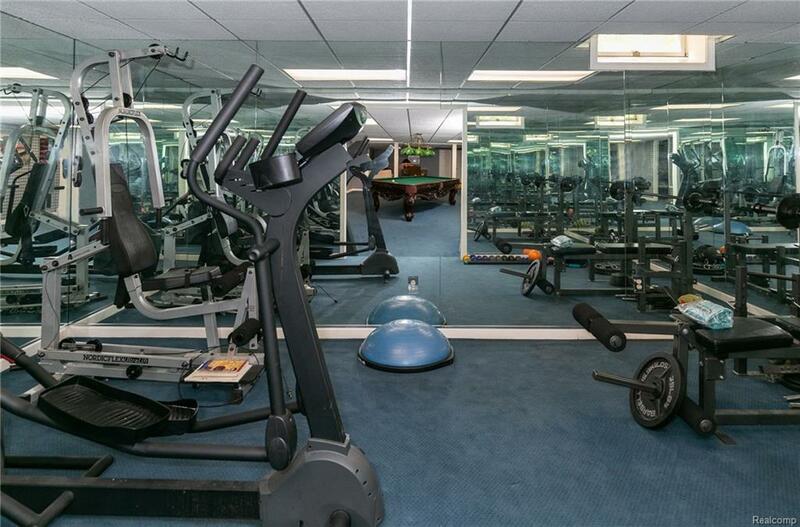 Impressive master suite has walk-in closet, dressing room, and private bath with jetted tub. 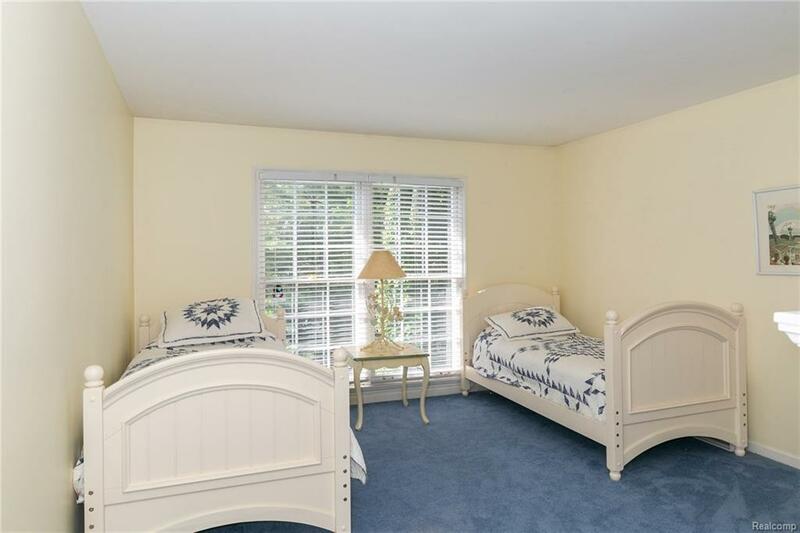 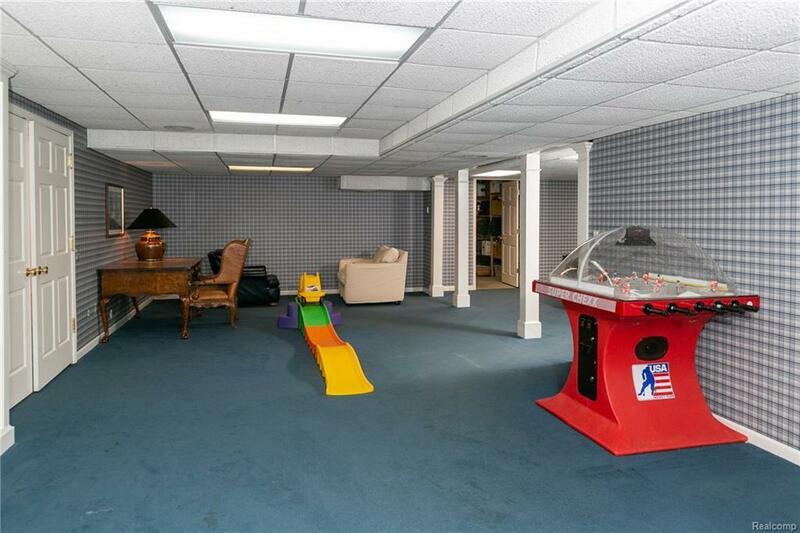 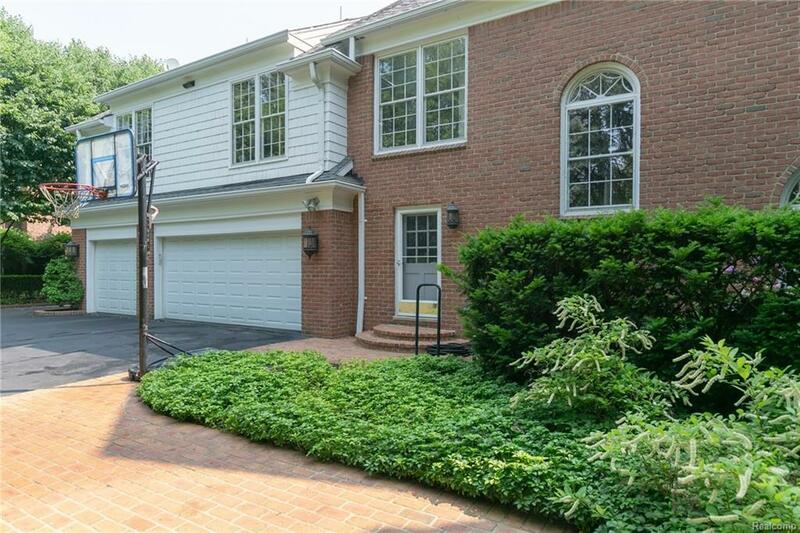 There are four additional bedrooms, three full baths and a spectacular lower level.